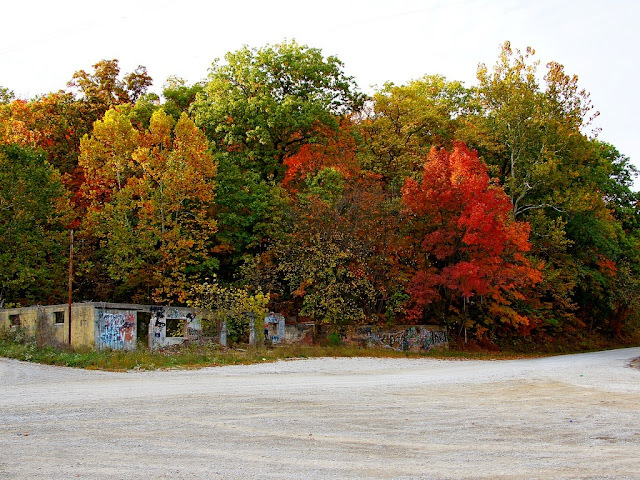 An old deserted building, graffiti and fall colors on a quiet road, makes for a beautiful photo. Have a great week Misty! I think there is much to be said for this image. My thought would be that it is a comparison between art that is created by human beings and artwork that is created by the hands of God. Interesting shot...the old, the new and the renewing.